1. Ntel is looking to lunch before the end of July, in Port Harcourt. 2. The communication infrastructure is currently being deployed, as they were brought into two not too long ago. 3. About 200 sites will be deployed in PH, same amount in Abuja and about 400 already in Lagos. 4. Once they are live in Port Harcourt, list of places where you can get ntel sims will be publish. 5. They are working with some companies, to provide cheap 4G phones, seeing most are quite expensive. 6. Places like Bonny, Onne will also be live. The offshore guys won’t be left out. 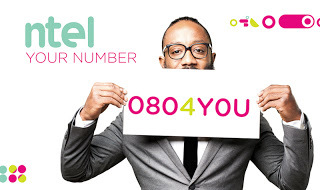 Why Will ntel Focus on Abuja, Lagos & Port-Harcourt First? The reason is that, for all telecom firms, more than 40% of their profits come from just these 3 states. Also note that the cost of subscription would still come down later.